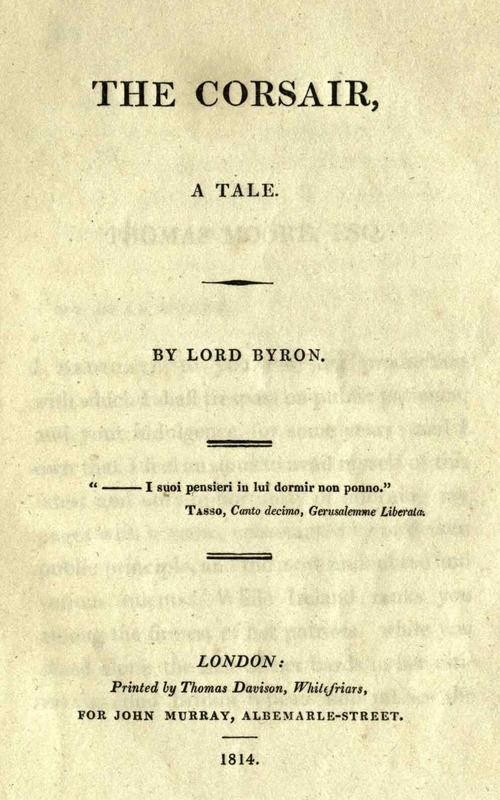 The Corsair: A Tale was Lord Byron's much anticipated and influential work, selling over ten thousand copies its first day of publication, February 1, 1814. It is structured as three voluminous cantos (similar to Dante's Inferno, which he references at the opening of each of his), followed by several individual poems which can be read alone, or as part of this volume. In The Corsair , Byron tells the story of a privateer, Conrad, who as a young man was rejected by society because of his actions, and then proceeds to spend the rest of his life fighting against humanity (all but women, of course).